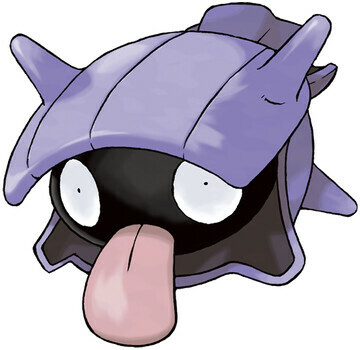 Why, when Shellder is attached to Slowbro, Shellder's shell is spiraled? At the beginning, Shellder's shell is only made of a single, smooth layer, so, why, when Shellder is attached to Slowbro, it is spiraled? The most probable reason that there could be, would be that when a Shellder clamps on to the tail of a Slowpoke, they BOTH evolve to form one Pokemon. This evolution in probably different and unique and so the the Shellder isn't a separate Pokemon any longer and so is a part of the Slowbro. It wouldn't have made sense if Slowpoke evolved with a big Cloyster latched onto it. 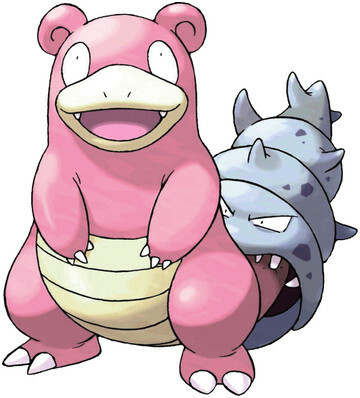 Does slowpoke evolve into slowbro when shellder clamps on its tail? How come Shellder looks so different when it attaches to a Slowpoke? Does Slowbro really have a Shellder on its tail? Why isn't my Armaldo's Rock Blast being passed down to the bred Shellder? Why didn't Shell Bell restore HP when my Darmanitan used Flare Blitz? I have a golbat that keeps trying to evolve and it doesn't even when I don't press anything, any clue why?